React is an awesome UI library (not framework) and has gained a lot of love. A colleague/friend, in a dialogue on React said he doesn&apos;t find working with React so interesting because there are just so many options to do one thing. After some research and casual interviews, I realized that was one of the reasons developers run into challenges working with this library. 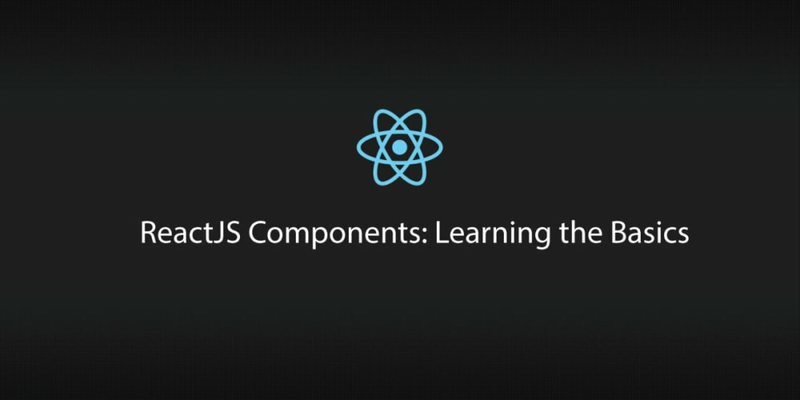 Different ways to create and manage a React component, tons of state management tools emerging, and more are the spotlight of these challenges. What we can do today is bring the most accepted way of doing things in React (based on community choice) to the table and discuss them. This is article is strictly basic so you might find yourself reading what you already know. If you are looking for more advanced topics, you can go through our numerous React articles. Keep in mind that conventional does not mean best practice. This was what the React official docs promoted and that is why it is very common. The render method takes a component to output and the DOM to output to. That makes a basic anatomy of a React Component. Dynamic apps must need to pass data around it&apos;s system. In React, data movement happens mostly among components and external services that provide the original data (eg HTTP, localStorage). Props are immutable and dumb which means they can only be passed from parent components down and cannot be changed. This poses a challenge because, modern apps do not rely on having all of it&apos;s states ready on page load. Ajax or Events could happen and when data returns, someone needs to be responsible for making updates. This is where React states comes in. The example is still dumb because the responsibility of state in the context can still be achieved with props. While we go deeper, we will see better reasons for the existence of states. This is quite straight-forward. If a component renders another component in it&apos;s render method, the renderer is the owner (parent) of the rendered. The renderer owns the rendered component and has control over it. I prefer to refer to this as parenting. Counter now renders another component, CounterDisplay. Counter is responsible for managing and syncing CounterDisplay&apos;s props. You can see how we are passing the state down the child component via props. The props could as well be named counter just as the state but this can be very confusing to beginners so I gave it a different name. What if we had a button (or more) in a child component that incremented and decremented an integer (state) managed in a parent component. What do we do? React component interaction comes in two forms: flow of data from parent to child component and flow of data from child to parent. We have already seen how the parent to child flow goes which was achieved using props. The CounterDisplay component has click events. Their handlers are not found anywhere in the component. Rather, the handlers are handled by the parent component, Counter. The handler in turn updates the state using this.setState() method and the counter display props gets updated without being explicit about that. This is very useful for setting up default values in an app. One nice thing about React components that I have seen developers enjoy and emphasize on is it&apos;s usability. You can throw any component around in your app to do what it was intended to do provided you abide by it&apos;s rule. When making my own re-usable components, how do I make my own rules? Prop validation is the answer to your question. Validation as the name goes helps you feel assured that the data flowing into your component is structured the way you expect it to be structured. You can&apos;t afford to treat a custom component data as string and the user treats the data like an array. The name of the component is the class name and the class extends React.Component to inherit its functionalities. The initial state is now set in the class constructor rather than using getInitialState. It is important to always pass the props back the parent class using super(props). There are few more minor difference but the above are what you should look out for. You can read Todd&apos;s article on the differences. The topics we have covered today are what will guide you to real app development in React. Scotch covered a series of articles which presents how you can use React in real world problems by abstracting presentation components and container components. Managing state in React could be tricky and that&apos;s why tools like Redux exist. With time, we will get out tutorials on how to manage your React application state with Redux.